My Spiney sense is tingling. 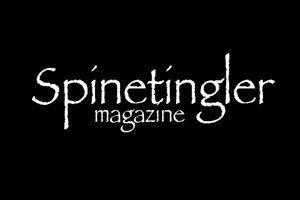 I am proud and frankly pretty goddamn giddy to announce that Roachkiller and Other Stories won the 2013 Spinetingler Award in the category of Best Anthology/Short Story Collection. The book was up against some very tough competition, including Beat to a Pulp 2: Round 2, edited by David Cranmer and Matthew P. Mayo; Crime Factory: Hard Labour, edited by Andrew Nette, Cameron Ashley, and Liam Jose; Lonely No More by Seymour Shubin; Red Heads Die Quickly by Gil Brewer; Short Stack by Icy Sedgwick, Gill Shutt, Mihaela Nicolescu and Jane Osis; Sleepwalking by Ray Nayler; Shotgun Honey Presents: Both Barrels (Volume 1), edited by by Kent Gowran, Ron Earl Phillips, Sabrina Ogden, and Chad Rohrbacher; Shoebox Train Wreck by John Mantooth; and Ugly Behavior by Steve Rasnic Tem. It’s humbling to be in such talented company. Congratulations! I had no idea that Sleepwalking had even been nominated. Very surprised!